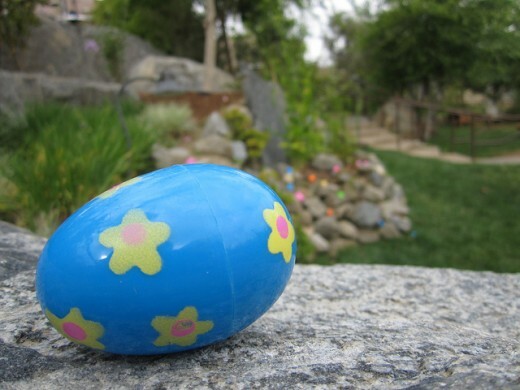 Hunt for Easter eggs in the gardens of Stone World Bistro! Champagne buffet brunch in the Oceanfront Ballroom and Crown Room at the Hotel del Coronado from 9:00 am to 3:00 pm. $78.50 for adults, $34 for kids ages 6-10 and kids 5 and under eat free. Buffet brunch with complimentary champagne at Arterra Restaurant in the Del Mar Marriott from 9:00 am to 2:00 pm. $49 for adults, $15 for kids age 12 and under, kids 5 and under eat free. A la carte brunch with bottomless mimosas at Pacifica Del Mar served until 2:00 pm. Entrees priced from $10.50 to $21. Buffet brunch on the Ocean and Sunset Terraces or à la carte brunch in Kitchen 1540 at L’Auberge Del Mar from 10 :00 am to 2:30 pm. Prix fixe brunch with bottomless champagne at Urban Bar & Grill from 10:30 am to 4:00 pm. $30 for adults, $12 for kids. Prix fixe brunch at Chianti from 11:00 am. $30 for adults, $12 for kids. Prix fixe brunch at Bertrand’s at Mister A’s from 10:00 am to 2:00 pm. $35 per person. Champagne buffet brunch with appearances by the Easter Bunny at Buster’s Beach House from 8:00 am to 3:00 pm. $23.95 for adults, $9.95 for kids ages 3 to 11 and kids two and under eat free. A la carte brunch with live music and a free glass of champagne or dessert with each entree purchase at Croce’s Restaurant & Jazz Bar from 10:00 am to 2:30 pm. Entrees priced from $9 to $17. Buffet brunch with live gospel singers at the House of Blues from 10 a.m. to 1 p.m. $40 for adults, $18.50 for kids ages 6 to 12 and kids 5 and under eat free. Buffet brunch and Easter Egg Hunt in the Stone World Bistro Beer Gardens at Stone Brewing Company from 9:30 a.m. to 2:00 pm. $34 for adults and $12 for kids 10 and under. Buffet brunch at The Marine Room from 10:00 am to 4:00 pm. $55 per person. Buffet brunch at The Shores from 10:00 am to 2:30 pm. $42 for adults, $20.50 for kids ages 6-12 and $3 per year of their age for kids 5 and under. Buffet brunch with egg decorating and an appearance by the Easter Bunny at Red Marlin at the Hyatt Regency Mission Bay from 10:00 am to 2:00 pm. $55 for adults, $26 for kids ages 5-12 and kids 4 and under eat free. Buffet brunch with free flowing champagne at the Doubletree Hotel Mission Valley from 10:00 am to 3:00 pm. $34.95 for adults, $16.95 for kids up to 12, ages 6 and under eat free. Brunch buffet with $2 bottomless mimosas at the Amigo Spot at the Kings Inn from 11:00 am to 1:00 pm. $16.95 for adults, $9.95 for kids age 10 and under. Buffet brunch at Trellises at the Town & Country Resort from 9:00 am to 2:00 pm. $32.95 for adults, $15.95 for kids age 3-12 and kids under 3 eat free. A la carte brunch at Mille Fleurs from 10:30 am to 2:00 pm. Entrees priced from $18 to $29. Buffet brunch with free-flowing champagne at The Bay Club Bar & Grill from 11:30 am to 3:00 pm. $34.95 for adults, $15.95 for children up to 12, kids 3 and under eat free. Champagne brunch at the Kona Kai from 10:00 am to 3:00 pm. $39.95 for adults and $19.95 for kids. Buffet brunch with appearances by the Easter Bunny at Pacific Coast Grill from 10:00 am to 2:30 pm. $25.95 for adults, $12.95 for kids. This entry was posted in Insider Tips and tagged coronado, del mar, dining, downtown, easter, escondido, holidays, la jolla, mission bay and beaches, mission valley and old town, north county, rancho santa fe, shelter island, solana beach by Kate. Bookmark the permalink.